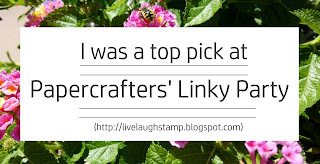 The linky for Papercrafters' "Anything Goes" Linky Party is at the end of this post. 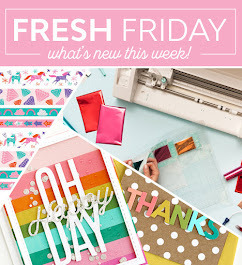 Saturday again and that means it's time for a new Allsorts challenge as well as a new Linky Party for all papercrafts here on my blog. You can find the linky at the end of this post along with last week's top pick. As always you may link up "Anything Papercrafts" to Papercrafters' Linky Party. 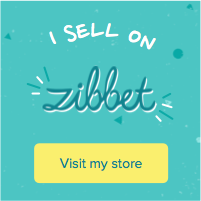 (If you're confused about "Ellibelle's Crafty Wednesday" I linked to at the top, it's a new challenge I just started (with a monthly prize). 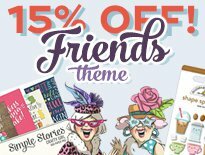 That's in addition to my linky party and it will have a monthly theme. Now onto Allsorts challenge, this week it's my turn to host and I selected the theme of Fairy Tales and Nursery Rhymes. This might sound harder than it actually is...you don't have to use a fairy tale or nursery rhyme specific stamp, I just want you to use a character or thing from a story to inspire your card, example the little mermaid would inspire you to use a mermaid stamp, or the tale of Peter Rabbit could inspire you to use your favorite bunny stamps. How about creating a floral card inspired by "ring around the roses?" Lots of options I think. Be sure to visit the Challenge Blog to see what the rest of the team has created for this week. Can you guess which fairy tale it's been inspired by? If you guessed Bambi then you guessed correctly. But I don't blame you if you didn't know, because Bambi is actually a male deer and my card it girly. I am sure everyone is familiar with Bambi from the Disney movie, but did you know "Bambi, a life in the woods" was first published as a fairy tale book in the 1920's? I am sure this story was part of my fairy tale book I had growing up. I heat embossed the image from Penny Black's Mimi's Love Stamp Set on Bristol Vellum paper then watercolored with my Zig Clean Color Watercolor Markers. Using a circle nestablities die I cut out the image and matted onto a scallop circle. 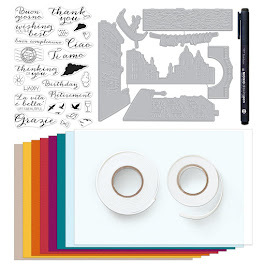 The designer paper is from a 6x6 paper pack by Prima Marketing. Unfortunately I am not sure which pack it came from....The little strip of yellow/green paper is from Stampin up, but long retired. I thought the sentiment I used was perfect for the sweet image, it's from the Penny Black set Sprinkles and Smiles. The flowers were done using the new die set Frames by Penny Black (available in my Etsy shop), the sticky dots were a gift, and I finished off with some natural Burlap Twine. Colored card stocks are by Stampin Up. If you look really closely then you can see I used a Wink of Stella clear glitter brush on the little butterfly and flowers on the image. 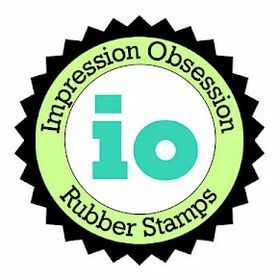 This week at Allsorts challenge we have two wonderful stamps to give away from Bee Crafty I hope you will be able to join us! Don't forget you get free shipping on Amazon orders of $25 or more (on most products). If you created something new or recently (within the last 2 weeks) then I'd love for you to link up at the Papercrafters Linky Party. Simply use the linky tool below and I will be visiting the entries throughout the week, then announce my top pick the following week. you are my top pick from last week's entries! Isn't the sentiment totally cute and so fitting for the image??!! Maxine shares some wonderful creations on her blog, each card is so well thought through and she always adds something that makes it extra special. It's such a pretty image and summery creation Ellie and I always love your designs which always have that quirky edge to them making them so eye catching. Sooooooooo cute! LOVING that deer and the mushrooms!!!! This is just the sweetest card! I love that deer image! Supercute image and gorgeous colouring as always! Super card Ellie and a cute image and a wonderful design. Bambi, loved the film, think I was 5 and I did cry, a long long time ago now. I do like to work ahead and therefore I had already panicked before you posted the full details and I did not like to alter my card as Brenda had been so kind as to send me the image. A great card and a very cute image. Thank you for joining us at Cardz 4 Galz. Sian. Great cards! Love the images you used. Thanks for joining us at Pause Dream Enjoy Challenges. Cute furry friends! Thanks for joining us at Cardz 4 Galz this week. Fun, fun, fun cards! I love that little fawn image, and what a great idea for a challenge!! Awww this is so cute, I love that sweet image and your beautiful layout! Thanks so much for joining us at Cardz 4 Galz! Very sweet card with a really cute image. Thanks so much for joining us at the As you like it challenge. Awww, what a sweet little deer! Very cute. Aww this is so sweet Ellie, Bambi is one of my favourite Disney Characters. I enjoyed this challenge. A really pretty creation Ellie and perfect for our 'Forest Friends' theme at Stamping Sensations challenge, many thanks for joining in. What an adorable deer card!! Love your soft coloring. Thanks for joining us at Always Fun Challenges. A great card - thanks for sharing with us at Craftyhazelnut's Patterned Paper Challenge - hope you'll join us again in April.